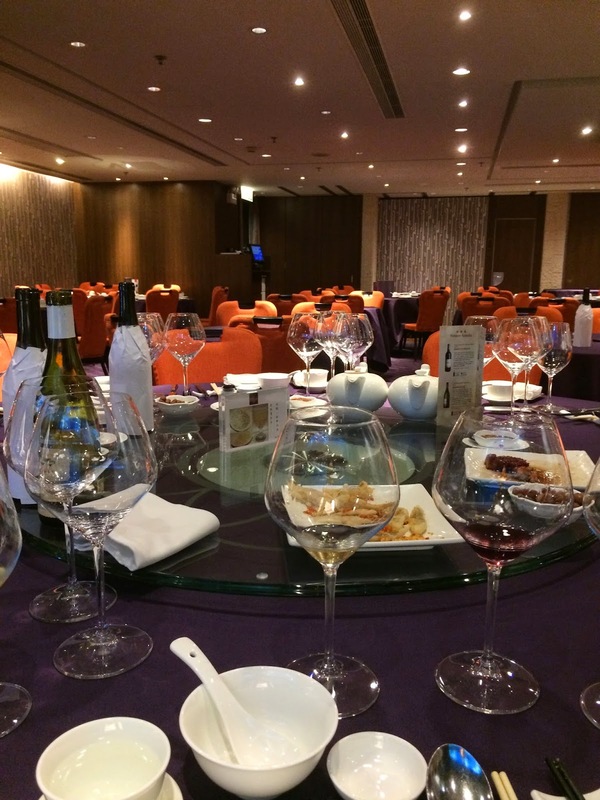 I was one of the earlier ones to arrive, and I found the restaurant to be mostly empty. This led me to take a picture of the empty space and upload it onto social media, jokingly using the Cantonese phrase 拍烏蠅 (translated as "swatting flies") to describe how quiet it was. Keeping in mind that this is a restaurant with a Michelin star, that's an off-shoot of the famed Fook Lam Moon (福臨門), on a Thursday night, after the benchmark Hang Seng Index had a pretty good run for the month. Where the hell was everybody?! Barbecued pork with honey sauce (蜜汁叉燒) - it's always a good idea to start with some char siu. This was pretty decent. Deep-fried Bombay duck (椒鹽九肚魚) - I do agree with the others that the batter tonight was slightly on the thick side, but it was still enjoyable. Pan-fried lotus root cake (香煎蓮藕餅) - there must have been a chance of chefs somewhere between when I first had this here and tonight, because stylistically this has completely changed. What had been mind-blowingly good crunchy and springy patties were now much too juicy and wet, and more akin to slider patties. While they still had some nice, crunchy cubes of lotus root on the inside, what blew me away was the abundance of those cubes the first time - especially on the outside. Yes, these were still pretty yummy, but I really much prefer the version I had on my first visit. Pan-fried honey glazed eel (蜜汁煎鱔) - not surprisingly, the eel is just a liiiiitle muddy. Crispy chicken wings stuffed with glutinous rice and preserved sausage (臘味飯釀雞翼) - very yummy. It's been a while since I last had stuffed chicken wings, and these were pretty nice. 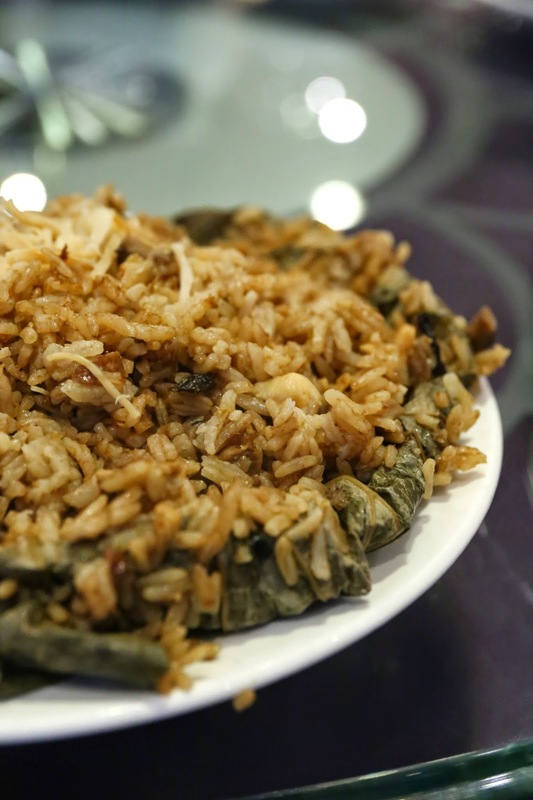 I looooove glutinous rice with preserved sausage, so this was a real treat. 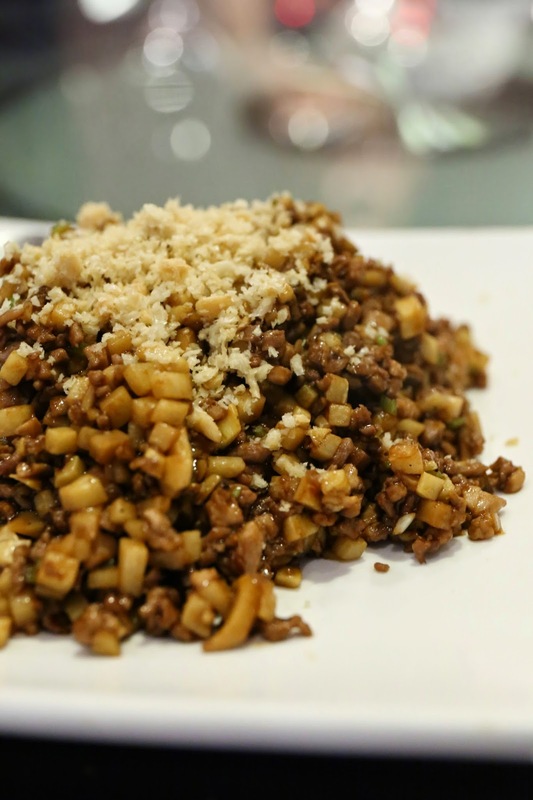 The shreds of dried conpoy also added more fragrance to the stuffing. Inhaled. Vegetarian treasures in bean curd skin bags (腐皮羅漢石榴球) - very yummy... stuffed with corn, black wood ear fungus (黑木耳), white wood ear fungus (白木耳), carrots and shiitake mushrooms. Scrambled egg with 'kei wai' prawns, century egg and spring onions (蔥花皮蛋基圍蝦炒滑蛋) - a dish that I absolutely loved last time, and still pretty good tonight. Wonderful comfort food. Sauteed finely minced pigeon served with crispy lettuce and 'hoisin' sauce (西生菜乳鴿崧) - I've been having a lot of these lettuce cups in the last couple of weeks, but I ain't complainin'! So these guys, too, trim the edges of their lettuce cups. Nice little details that show the level of care. 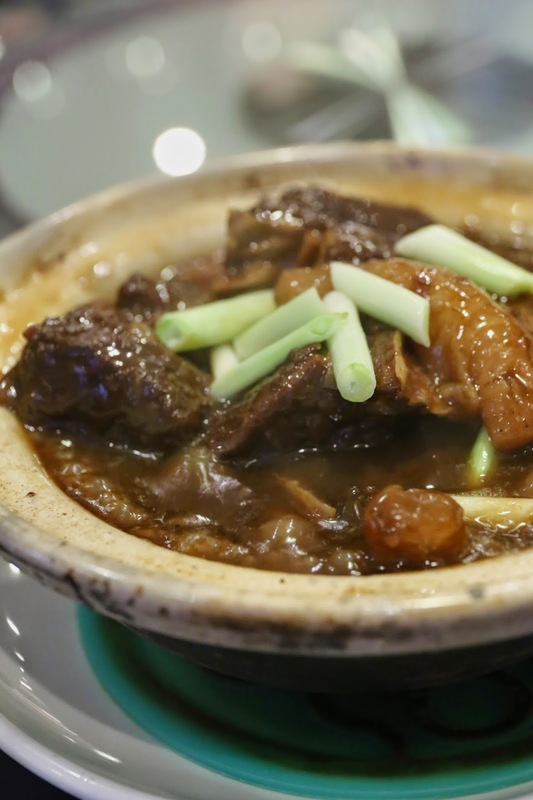 Long braised beef brisket and tendon in chuhau sauce in casserole (燜柱侯牛腩筋煲) - even the lean brisket was pretty tender. Yum. Chicken casserole in morel sauce (羊肚菌雞煲) - pretty yummy, actually. Pork and shrimp boiled dumplings (水餃) - these shuijiao tasted a little sweet, with detectable amount of white pepper and shreds of black wood ear fungus. Stir-fried E-fu noodles flavoured with dried flounder (浦魚乾燒伊麵) - I don't think my friends have ever ordered this at Fook Lam Moon, so I think this was the first time I've ever had E-fu noodles in dried flounder sauce... If memory serves, most other versions I've had in the last 2 decades of living in Hong Kong seemed to have been made with abalone sauce. Looks like I still have a lot to learn about Cantonese cuisine... This was nice, though. Sweet and sour pork with pineapple (菠蘿咕嚕肉) - I think we were all in agreement that this was below par... maybe because it was the kitchen's last call and the chef had actually knocked off... The exterior just wasn't crispy at all, and this turned out to be one of the only dishes with leftovers - there were still 2 pieces of pork that nobody wanted. Blanched choy sum (白灼菜心) - with no oil or anything else added. Stir-fried baby kailan (清炒小芥藍) - it's been a while since I last baby kailan - one of my favorite veggies. Yum. Stir-fried noodles in superior soy sauce (豉油皇炒麵) - good that this was done very dry as requested, but why was it sooo damn salty?! Deep-fried sesame balls (燈影煎堆) - we just had to have these... soooo awesome, incredibly fragrant with the deep-fried sesame seeds. As if that wasn't enough food, the proprietor of Mara Js La Pâtisserie very generously brought us some treats. More sugar and butter... YES, PLEASE! Egg custard moon cakes (奶黃月餅) - the kitchen heated these up for us so we could enjoy them at their best. Egg custard moon cakes normally aren't my thing, but these were pretty good. Well, this was my first time drinking with this wine crowd, and my friend was being a little coy about the time of wines people were accustomed to bringing. 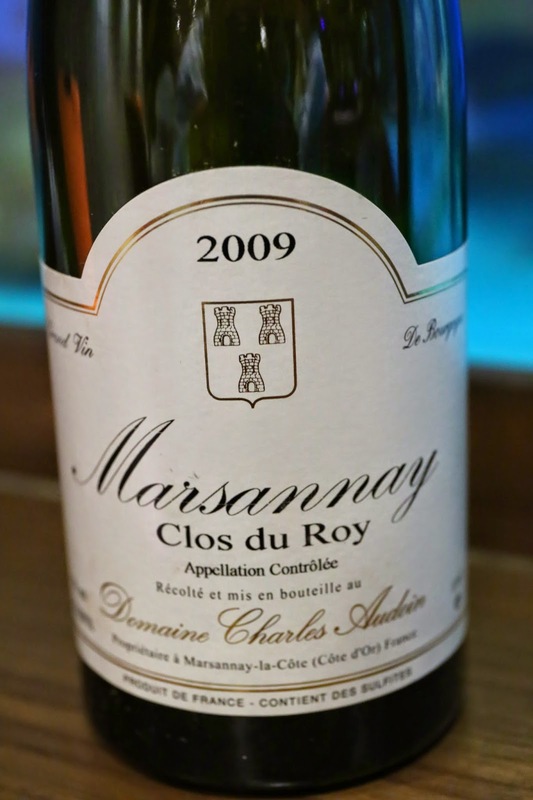 I was told "no need fancy grand cru stuff" but left to guess the rest, although it was to be a Burgundian evening. As it turned out, 2 bottles kinda stood out this evening... and I jokingly complained about having been tricked into bringing one of the more expensive bottles... Many of the wines were tasted blind, so it was kinda interesting to have a more objective take on these "cheap" wines. 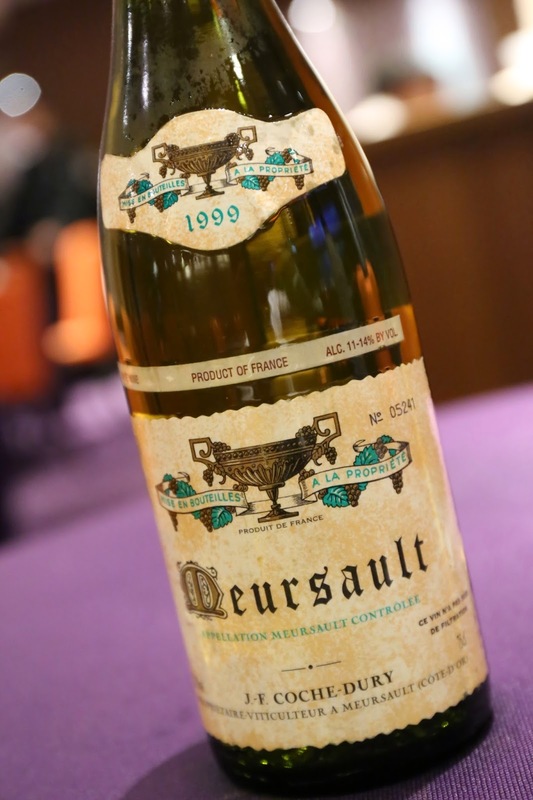 1999 Coche-Dury Meursault - very heavy nose of toast, roasted corn, a little lemon citrus. No surprises here... but I love it. 2011 Cecile Tremblay Bourgogne La Croix Blanche - really fragrant nose, sweet, a little bubblegum, very ripe, definitely minty and eucalyptus. Later on the nose became super-bubblegum. 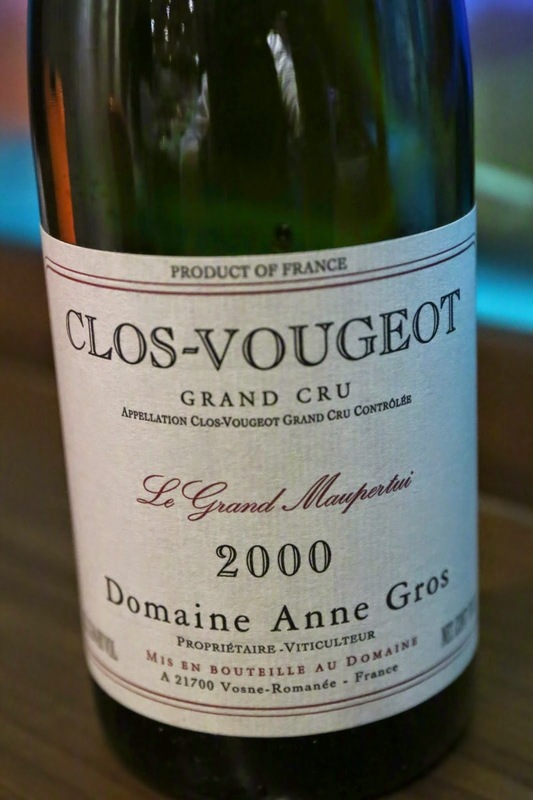 2000 Anne Gros Clos-Vougeot - pretty sweet, with nose of dried herbs and cedar, a little ripe. Very nice. 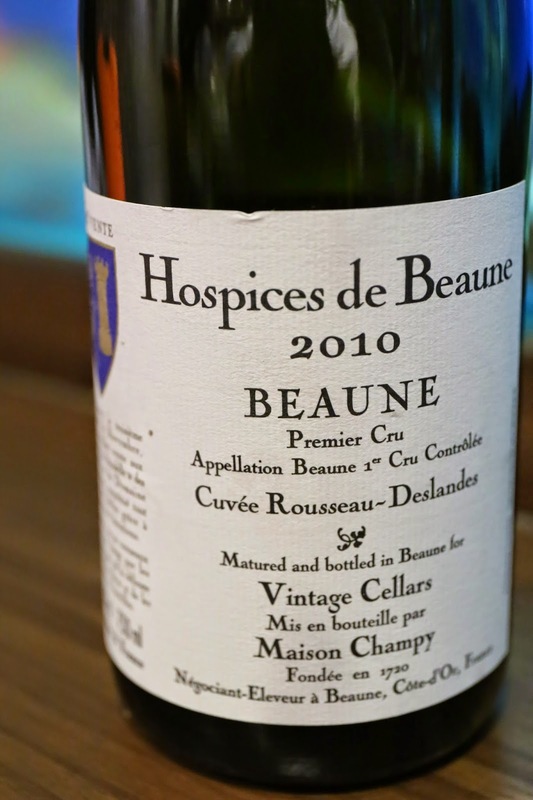 2010 Hospices de Beaune Beaune 1er Cru Cuvée Rousseau-Deslandes par Champy - nose of cedar, nice and ripe, pretty sweet, so fragrant on the palate, with exotic spices and a little forest. 2001 Coche-Bizouard Monthélie 1er Cru Les Duresses - corked. 2007 Sylvain Cathiard Vosne-Romanée - opened more than 2 hours before I drank it. Nice and sweet, very fragrant, a little leather and bacon fat. 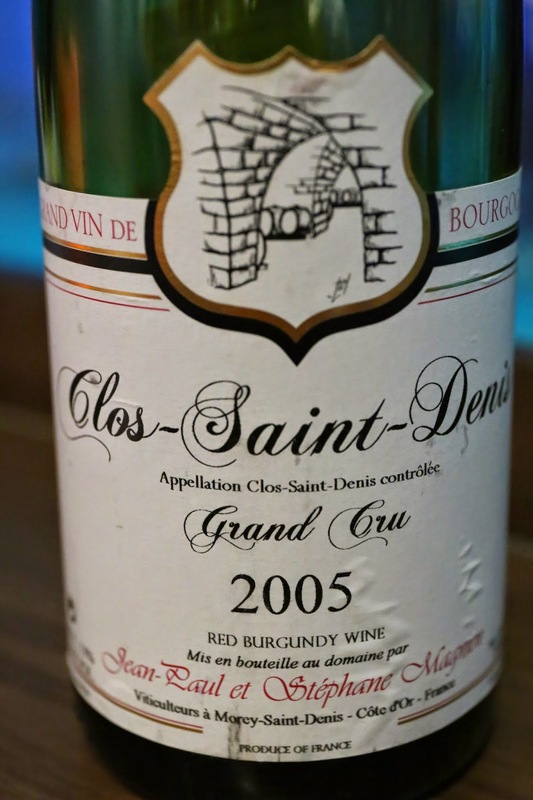 2005 Jean-Paul et Stéphane Magnien Clos Saint-Denis - sweet and nice. 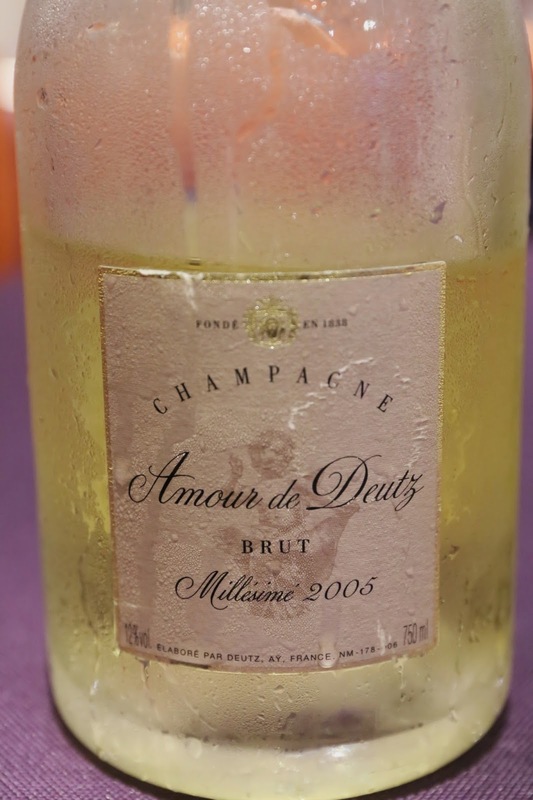 2005 Deutz Amour de Deutz - yeasty and ripe. Always yummy.